NEW YORK -- The seams of coal in some of Eddie Asbury's mines in McDowell County are so thin workers can barely squeeze down them. They enter on carts nearly flat on their backs, the roof of the mine coursing by just a few inches in front of their faces. They don't stand up all day. To keep his business operating with such a paltry amount of coal, Asbury has to do everything himself. He has no use for the shiny, multimillion-dollar mining machines on display this fall at the biannual coal show nearby. His equipment is secondhand stuff that he repairs and refurbishes. The coal he and his workers scrape out of the mountain is washed and prepared for sale in a plant Asbury and a colleague built themselves. "It's how we survive," says Asbury, 66, a miner since 1971. Even coal is barely surviving in coal country — and coal is about the only thing Central Appalachia has. West Virginia is the only state in the country where more than half of adults are not working, according to the Census Bureau. It is tied with Kentucky for the highest percentage of residents collecting disability payments from Social Security, according to the Kaiser Family Foundation. And the death rate among working-age adults is highest in the nation, 55 percent higher the national average, according to the Centers for Disease Control and Prevention. "There's a reluctant realization that this is different." Now, the one main source for decent-paying work, the brutal life of coal, seems to be drying up for good. The thick, easy, cheap coal is gone, global competition is fierce, and clean air and water regulations are increasing costs and cutting into demand. "There's a reluctant realization that this is different," says Keith Burdette, West Virginia's commerce secretary and head of the state's economic development office, of the latest coal bust. Central Appalachia's struggle is familiar to many rural regions across the U.S., where middle-class jobs are disappearing or gone and young people have no other choice than to leave to find opportunity. But the problems are amplified in coal country, where these difficult economic and social conditions have gripped the region for decades and where there is hardly any flat land to build anything. Big federal and state programs and initiatives, some dating from the Lyndon Johnson administration, have failed to help the region diversify its economy much beyond digging or blasting coal out of mountains. If anything is going to help the people of Appalachia, poverty experts and residents of West Virginia now say, it's themselves: local entrepreneurs who know their communities and customers well, and are committed to them. "We need to have some urgency and look at other possibilities because coal may not be here," says Dr. Donovan "Dino" Beckett, CEO of the Williamson Health and Wellness Center. Beckett, 46, started a free clinic under a federal program to encourage treatment of underserved populations to go along with his more traditional doctor's office, a Diabetes Coalition, and a project called Sustainable Williamson that helped set up a farmer's market to provide access to healthier food. This summer, Sustainable Williamson opened a space for budding entrepreneurs in a converted old furniture store called The Hub, where people with ideas for businesses can get support and advice. "We wanted to start a clinic, but we wanted to be an economic driver for the area, too," Beckett says. 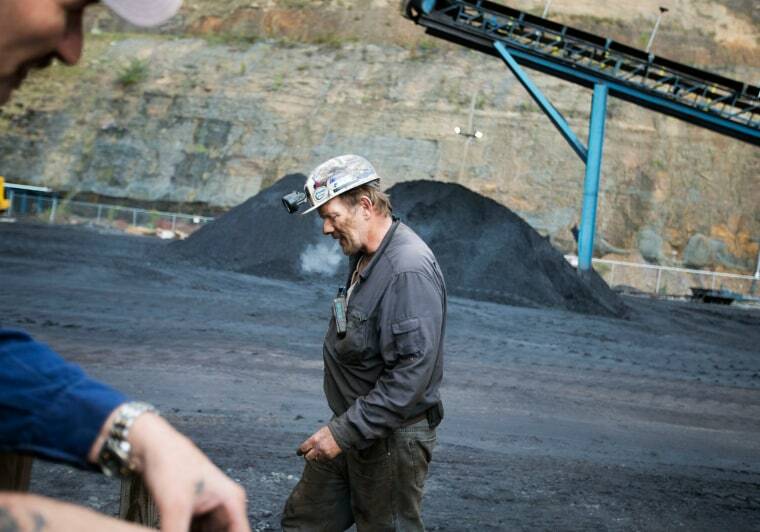 Coal employment in Central Appalachia has been declining for decades, a result of mechanization in the 1960s, the collapse of the U.S. steel industry in the 1980s, and now cheaper rivals at a time when the world is trying to turn away from coal. Coal is by far the biggest source of carbon dioxide and airborne pollutants among fuels used to make electricity. As jobs disappeared from coal country people fled, leaving behind abandoned buildings and empty lots. Brandon Dennison devised a business plan in graduate school that uses some of these disadvantages to create jobs. His creation, Coalfield Development Corp., hires graduates of high school vocational programs to restore, repurpose or tear down old buildings, use old building materials to make furniture, or build new homes on reclaimed coalfield land. Employees also are also required to take six hours of community college courses a week and three hours of life skills classes that help them with things like money management and healthy eating. The program is getting such a good response that Dennison plans to expand early next year to start similar businesses focused on agriculture, tourism and retail. "We're trying to change mindsets in coal country, from 'the world is out to get me' to 'the world is full of opportunity,'" he says. "A huge focus of the training we do is around entrepreneurship and how to start a business." Globally, coal will not go completely away anytime soon — it's the cheapest way to bring electricity to the 1.3 billion people who lack access to it, and even developed nations will still need to burn it as they transition to cleaner fuels. But the thin seams left in Central Appalachia are too expensive to compete with cheaper coal being mined in places like Illinois, Wyoming, Australia and Indonesia. The industry will persist, driven by small, determined operators like Asbury who are after high quality coal used to make steel, but as a niche no longer able to support a region's economy. Asbury is negotiating a lease for a new mine even now, in the depths of a bust. He also is trying to work with the state on a plan to build a surface mine that would flatten a stretch of mountains but also create enough space for a highway to connect McDowell County with the two interstates that meet in Beckley — and perhaps spur some economic development unrelated to coal, finally, in Central Appalachia. This is an abridged version of this story. Click here to read the full version.